Cultural Transformation Tools Certified consultant that has been working with leading corporations on the process of change management and company culture. Daniël Corsen is the Founder and Managing Director of D&I Business Support Services established in 2010. 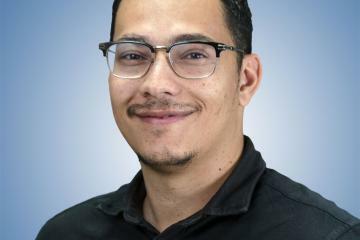 Born and raised in Curaçao, Daniël earned a Bachelors degree in International Business at the University of the Netherlands Antilles (UNA) and an Executive Master in Financial Management from the Rotterdam Business School. Daniël is a Cultural Transformation Tools Certified consultant that has been working with leading corporations on the process of change management and company culture. As an advisor in organizational development he has guided organizations in the process of translating business strategies into implementation programs, and implementing these programs within these organizations. Daniël is very creative and analytical, and has a result-oriented, enthusiastic and driven charisma and transfers this attitude to his direct surroundings when performing his duties.